How's the VPN trial going Humph? On security matters, I've stumbled across a site which checks the SSL security of your browser, which people might be interested in. Things are going well. Though I'd like it to be a bit faster, that's just me being picky: It doesn't interfere with me streaming HD video. But reliability is good and the security seems to be rock solid. In summary I'd be happy to recommend PIA to anyone considering a VPN. One thing that I've noticed, that is... shall we say, not "standard operational procedure". In one of these directories there is an executable called rubyw.exe. This file cannot be deleted as it is running in memory. Apparently this file is critical to the VPN, and needs to be created dynamically. I don't have problem with the explanation of why they are doing it this way, but I don't like stuff running from any of my temp directories. (It always makes me suspicious of attempts to crack into my system.) I always expect that I should be able to go to any of my temp directories, at any time, and delete everything contained within! It's a minor point, but I'd rather they created the file elsewhere rather than in a temp directory. Thanks for the link, every little bit helps. You bet, especially when things are only going to get worse. The only drawback with my VPN is that they seem to block using Torrents sometimes, so I do my Torrenting when I get up each day until my ISP's Peak period starts at midday, that way way I can spread the downloading between Peak and Off Peak so I don't piss the ISP too much. 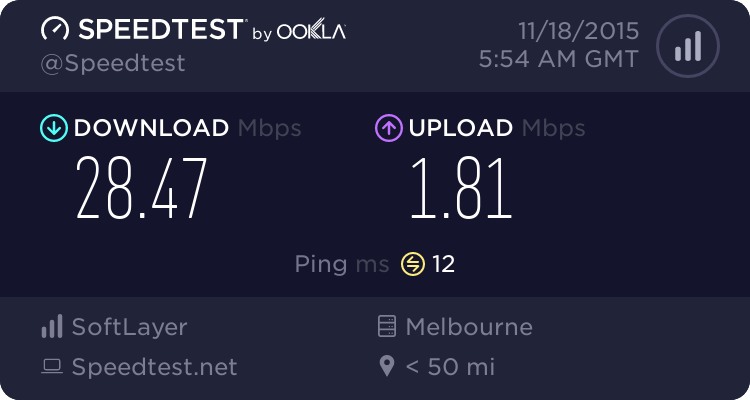 Even though my NBN plan is unlimited, I try to keep to a limit of 30gig a day. But when researching the TOR browser, I remember reading some cautionary words particularly relating to torrenting when using TOR. I didn't pay much attention, as I didn't think it was relevant to me (and, though I have it installed, I don't use TOR now that I have PIA). But here is a link to the Torguard page; it also refers to other types of VPN. You may find it interesting, if you haven't already read it. I've been online since 1993, and have never torrented due to the insecurity of doing it, exposing your IP address and all the other issues I had with it. But, since I got the VPN and it's their IP that is shown, and further setting up and checking other privacy issues within the browser, I've downloaded a couple of hard to find things I couldn't find anywhere else. The fact that there is the minor issue with throttling during certain hours doesn't bother me. Something that irks me: Sometimes I get allocated an IP that has been "abusive". i.e. some has previously used this IP to do "bad" things. It results in some websites referring me to captcha tests etc, or limiting my access. Does this happen to anyone else, or should I complain? It feels like I've just bought some new underpants, tried them on, and then found out they're second hand. eeeewww! Well, so much for CyberGhost. It seems that either the government or my ISP (because of the government) has blocked it. Insofar as I know, it is not illegal to use an ISP so f*ck you nanny-government! EDIT: I found out a way to get CyberGhost to connect. Turn on AnonymoX and then run CyberGhost. When it connects, turn AnonymoX off. It's worth doing because CyberGhost is a lot faster than AnonymoX. Not only problems with the VPN either! !